As a private cloud provider I dealt with widespread perceptions that private clouds (and internal IT organizations…) are of no value to the business. Recent conversations confirm I am not alone. Though this was partly the result of widely held perceptions (and realities) of IT becoming the greatest point of latency in business transformation, some of which I discussed in a previous article, there were also other forces at work. I have frequently heard business consumers state emphatically that externally provided cloud solutions must be better and must be less expensive than those provided by their (“out-of-touch”) IT department. I have also heard from their IT department that externally provided cloud solutions must be less up to the task and more expensive. These statements are both correct; and, as recent events have demonstrated, they are both incorrect. Why are these groups disconnected and what can be done about it? Is it really the case that IT departments have no value to the business? Why do service consumers feel that way? Sometimes there are leadership or interpersonal issues at work, though this disconnect frequently begins with both positions often being based upon assumptions or a single experience (or most recent experience) as opposed to an analysis of the opportunity at hand. Not every case has the same merits, so diligence is required. This disconnect is often exacerbated by additional assumptions, often made subconsciously. While the former suggests that some organizations are better than others at resource and capacity planning, or at creating hybrid cloud relationships, it is the latter that often leads to the budget-killing perception that a private cloud or internal IT organization has no value. Knowledge of public cloud services is commonplace, as is knowledge of their rates. Those rates are often stated in pennies per hour, resulting in the perception that they are much less expensive than they truly are. After all, what can you get for fifty-four cents these days? This problem is compounded in organizations where there is no chargeback or show-back scheme in place because the consumer-budget holder perceives the service as free. “Free things have no value. If they had value they would not be free.” This is not as much hyperbole as you might think. What’s worse is that people are not always conscious they have made that connection. This issue often becomes critical during budget season. A central service team will often have the highest budget for hardware and software, simply because they purchase things which all groups consume (and therefore do not need to purchase themselves). Though consumers’ expenses disappear when service groups take on management of such things, it can appear to those served that funding is simply being taken from department budgets to fund the central service (“from which they receive no value”). Senior stakeholders who may not be as close to the services that are delivered are prone to this perception. As a result, those stakeholders may suggest that consideration should be given to moving some of the funding because “my team doesn’t use this. Why should we be funding this?” And, hey, free services do not require funding for growth. Those who think they are not vulnerable to this can be recipients of an unwelcomed surprise. I have seen cases where that statement was made by a senior executive who’s team, it was later discovered, was the number one or two consumer of the services. Preemptive action is required. As I have mentioned in previous articles, communication to key stakeholders is critical. Though there is more to consider in this case. As the value of the service delivered increases the level of management interested also increases (climbing the corporate hierarchy). The level of senior management interest is linked not only to the value of the service delivered to a specific group (their group), but also to the total value of the service provided to all groups. Frequently it is the sum total of a group’s budget requirements that is discussed in these senior-level budget meetings. So, although a specific stakeholder group may only consume a small amount of service a private cloud provider may find themselves of interest to that group’s most senior stakeholder simply due to the size of the common service team’s total budget. So, what can be done to address this? My next post will suggest a few strategies. 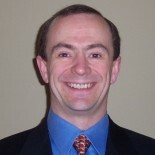 This entry was posted on May 10, 2011 by @GeorgeDWatt in Cloud, Measurement & Finance, Mgt. & Soft Skills and tagged alignment, business, cloud, IT, Lessons, management, Myth.